Artist, Writer, Sailor based in Los Angeles. 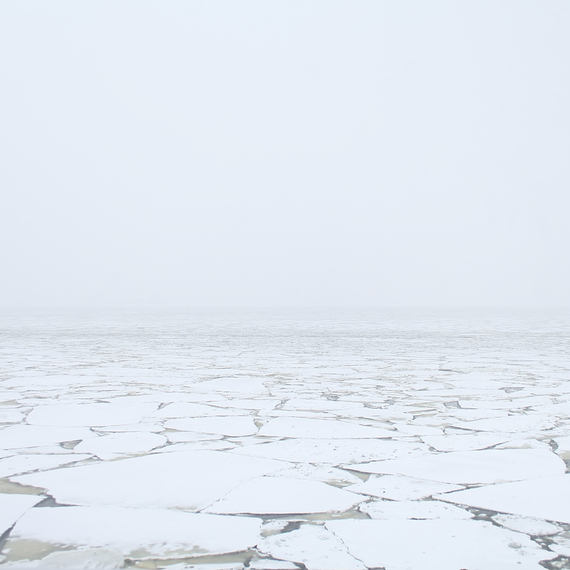 Music for Ice Ports is a collection of field recordings and compositions made during my Artist in Residence at the National Center for Contemporary Arts in Kronstadt, Russia during January and February of 2014. The field recordings were made with a Sony PCM-50 recorder and audio from video footage shot on a Canon 60D. The musical elements of this record were made using an Old Russian piano that was at the NCCA Residency studio and a vintage toy accordion I purchased at a flea market in Saint Petersburg. From the cracking sounds of the shifting sea, to the noise of ships barreling through the broken ice, to the twelve minutes of chiming bells recorded at the Naval Cathedral of Saint Nichols, the album acts as an aural portrait of Kronstadt with a few minimal musical elements woven in. Along with the eight audio tracks a digital booklet is available to download with the album that contains information about each of the recordings origins and reference photographs. "Suddenly I hear a slow creaking sound. Placing my recorder on the walls edge I sit still and listen to the ice slowly moan, it is both beautiful and unnerving. I assume it was the tide going out and the ice not yet having the strength to support itself due to the unseasonably warm weather Kronstadt has seen so far this winter. Sitting silently listening to it quietly bellow a foghorn blast came from a near by factory noting it was noon. I looked to see the sun lazily hanging low in the sky." 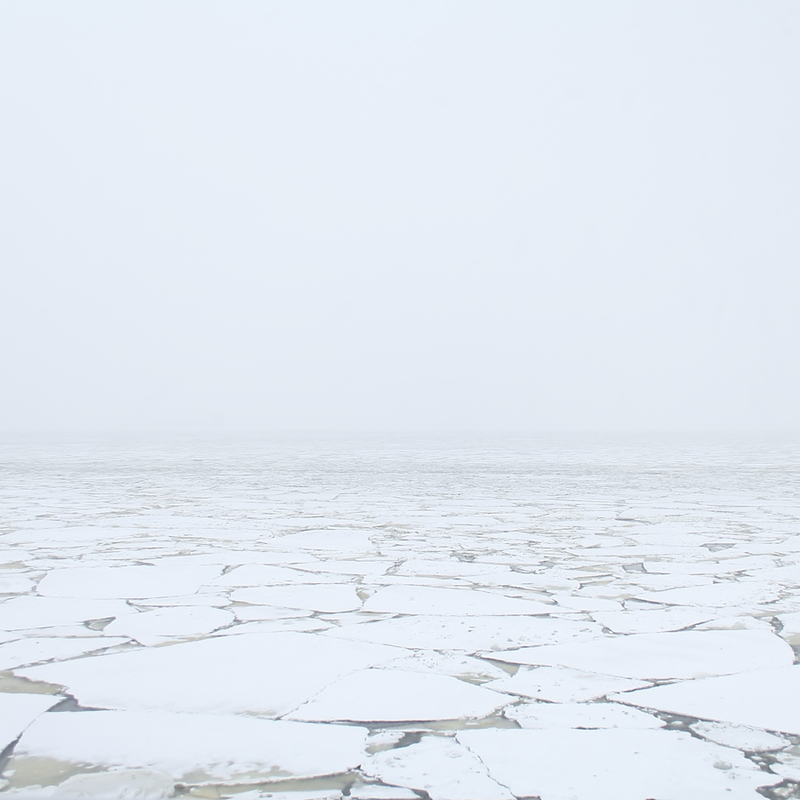 "A collection of field recordings made out on the open ice. Which included The Passage of ships, A Distant Airboat & The Stress of a Broken Ice Field in the Wake of a Passing Ship. " "This recording was made on the 70th anniversary of the lifting of the Siege of Leningrad by the Nazi forces. In Kronstadt and across Russian celebrations marked the end of one of the longest sieges in history totally 872 days and resulting in 1 million people who died from famine and bombardments. The Naval cathedral of Saint Nicholas, which is one building away from my studio at the residency, held a large fireworks display in the anniversaries honor (which I recorded much of). Upon finding out why the fireworks display took place I thought how funny it is that humans celebrate the ending of wars with more explosions (much like the USA with the 4th of July). So I took part of the recording and slowed it to have the scale of an actually bombardment."